Drawing of the CCTV by Zou Jian during construction. The image was shown in the 2010 exhibition "La Ville Dessinée", at the Cité de l’Architecture et du Patrimoine, in Paris. 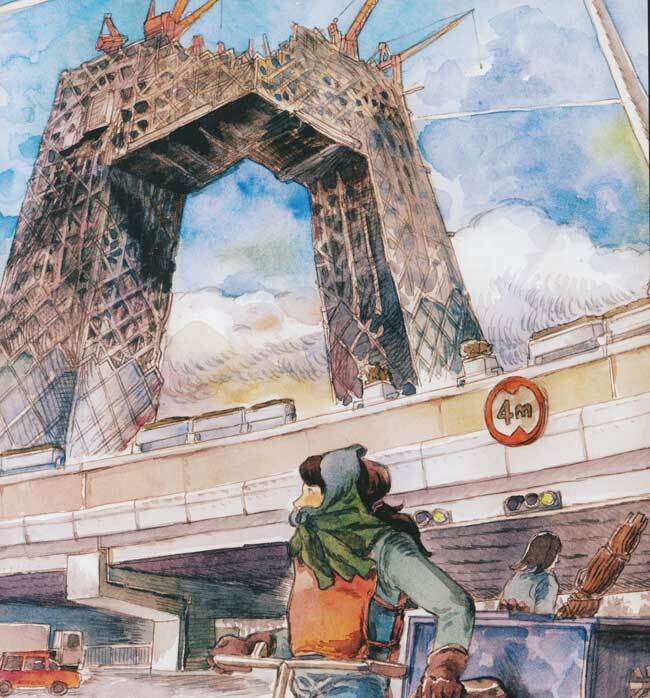 The exhibition has showed how artists use architecture as a source of inspiration to enrich the look of a comic book.